Due to the bad weather forecast there will be NO ramp build tomorrow. Thanks to those who volunteered. We hope to reschedule, I'll let you know when we have a date. Likely after the first of the year. 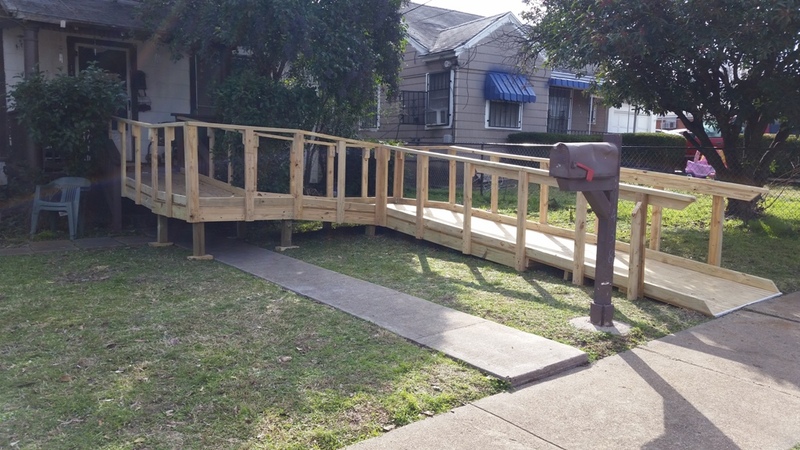 We'll gear up for the wheelchair ramp build on January 19, 2019. That'll cheer you up after the depressing collapse of your New Year's resolutions! 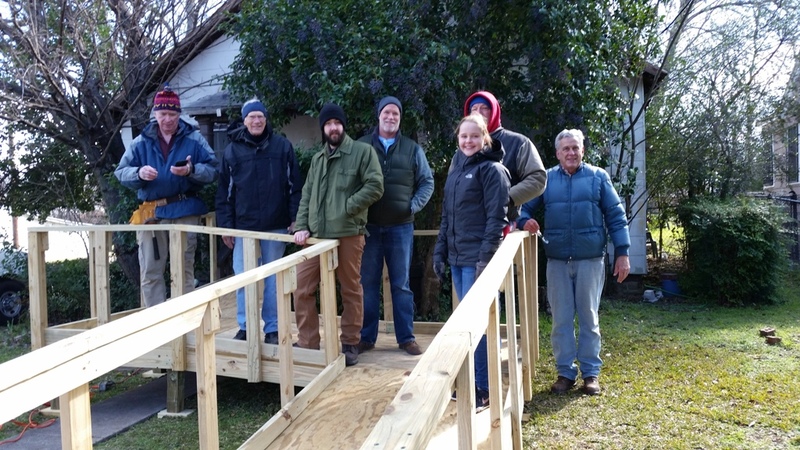 Hats off to our group that braved some bone chilling weather and snow flurries this past Saturday to get a nice 38 foot ramp down on the 'make up' date from December rained out effort. A big thanks to Greg Hedum, Nick Hedum, Terry Louthan and Larry Rollow and others for their efforts!